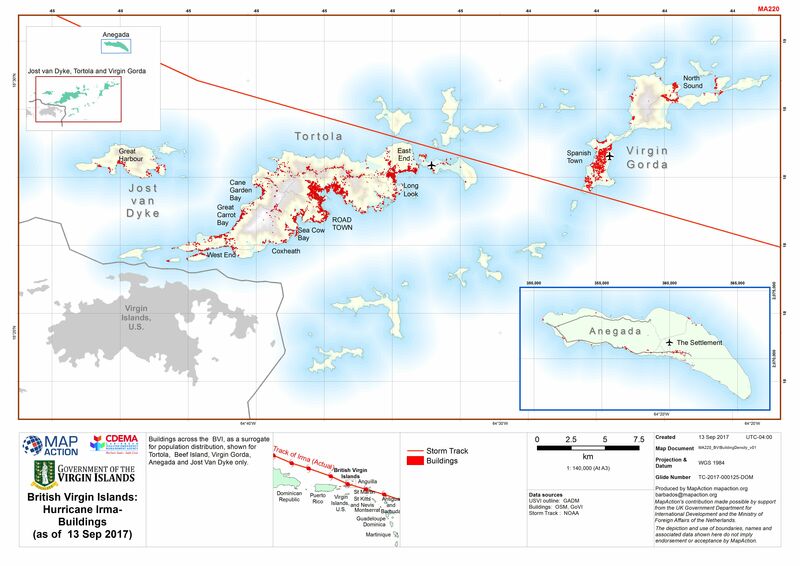 Map shows known air and sea access to countries affected by Hurricane Irma in the Eastern Caribbean as as 13 September 2017. 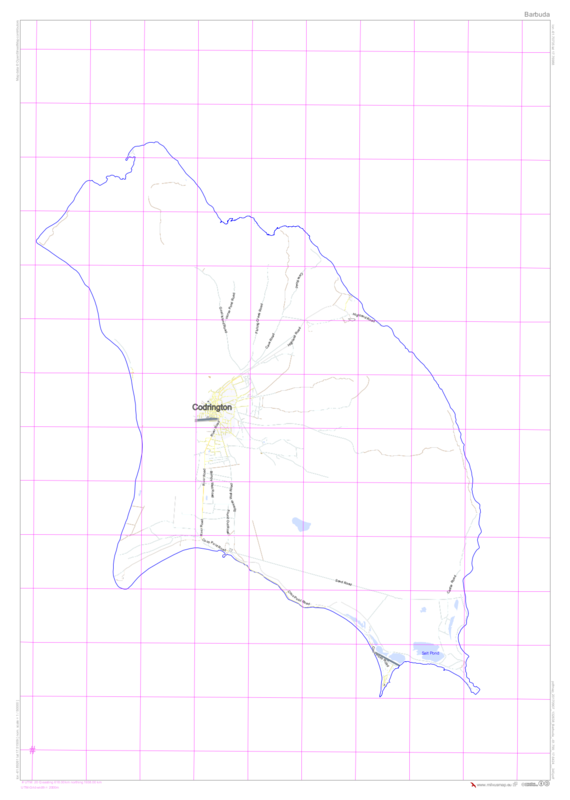 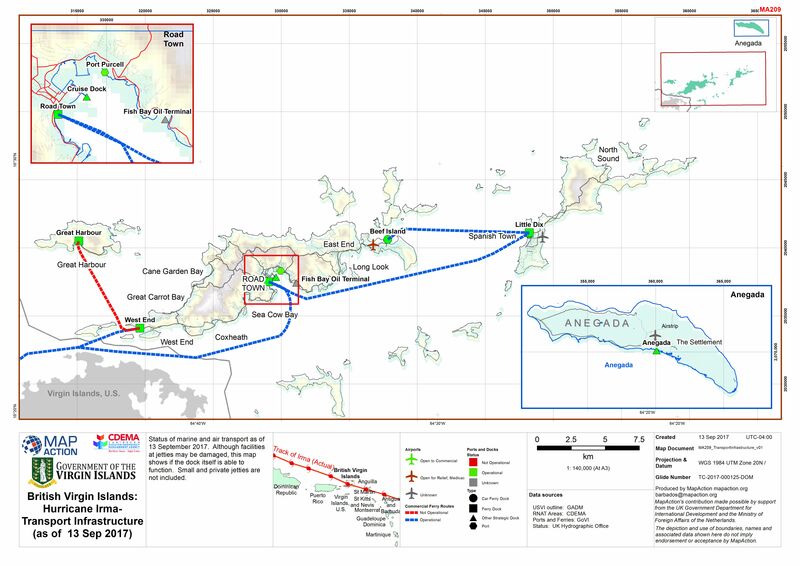 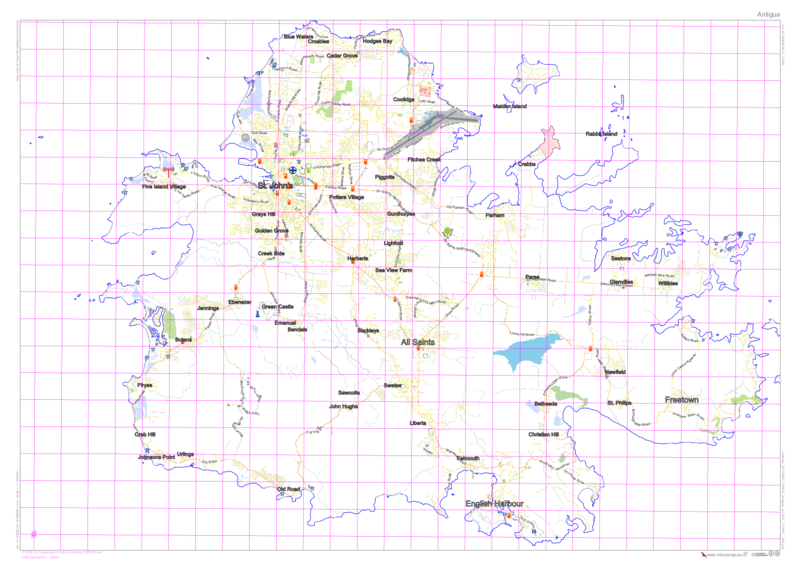 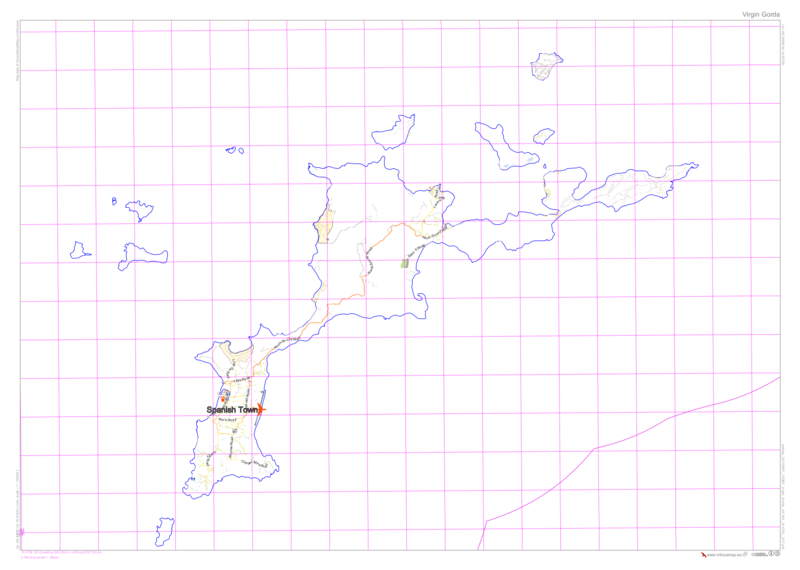 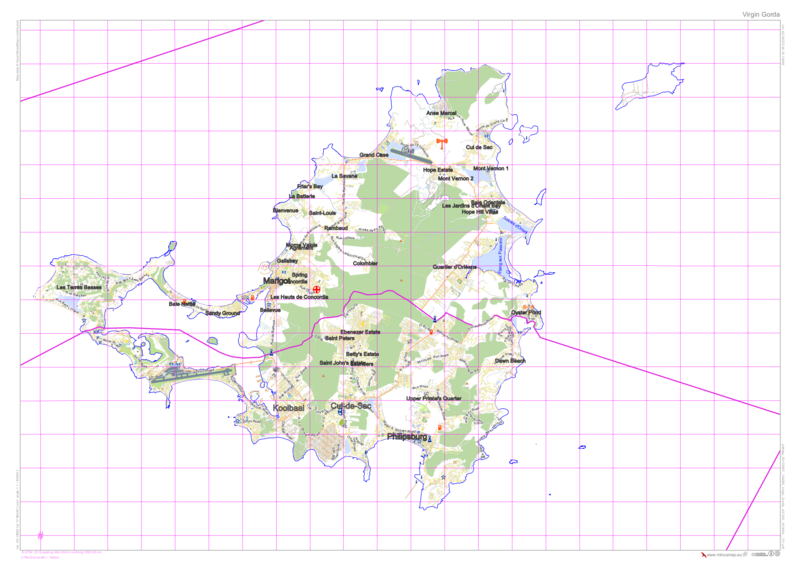 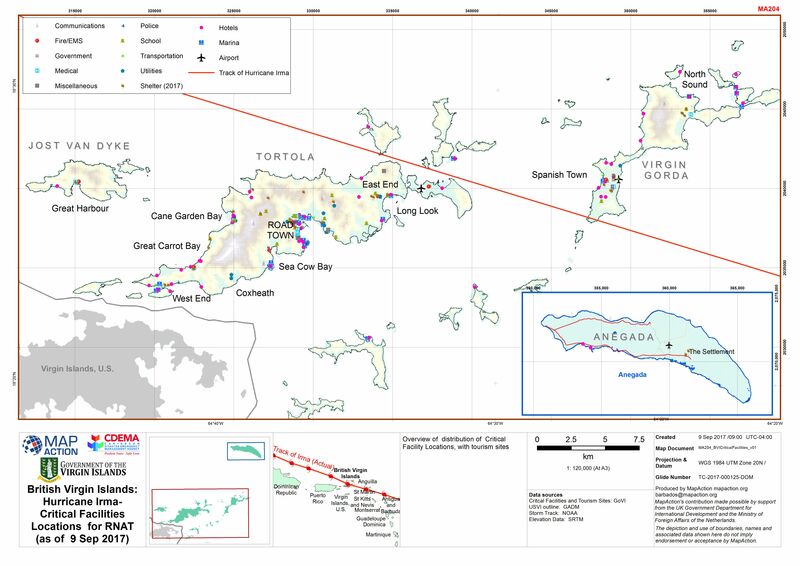 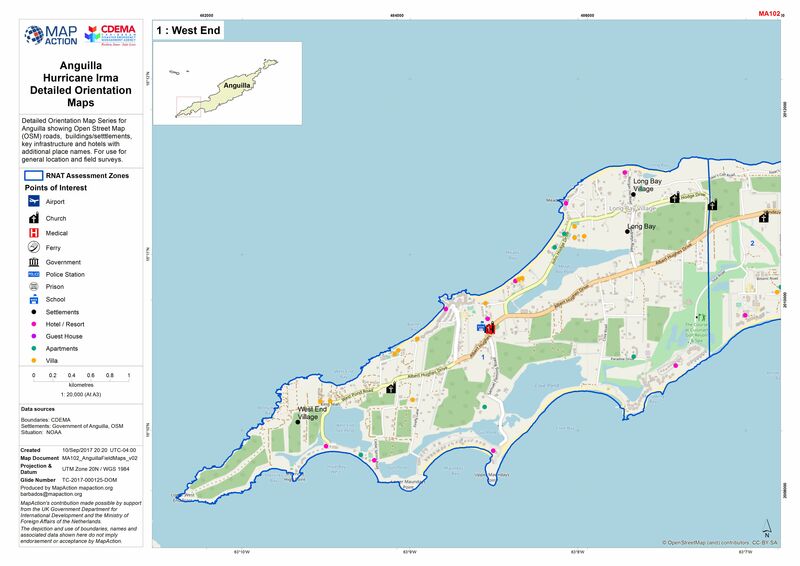 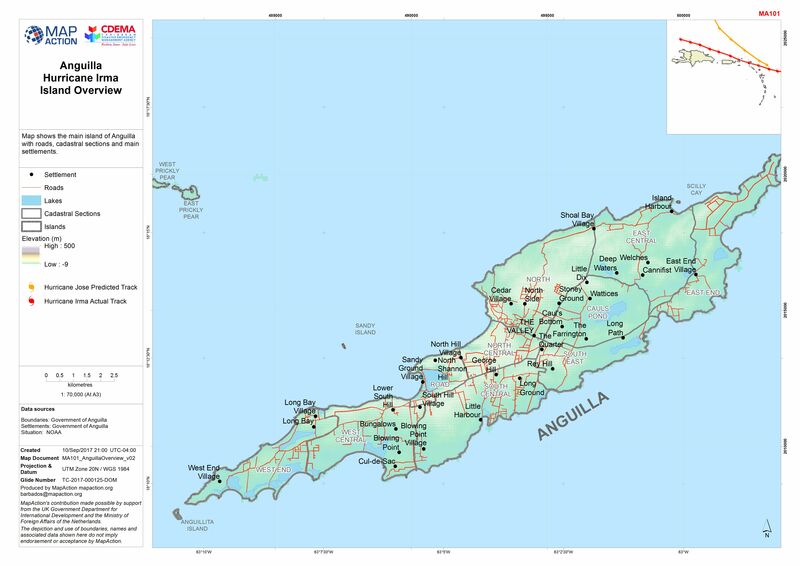 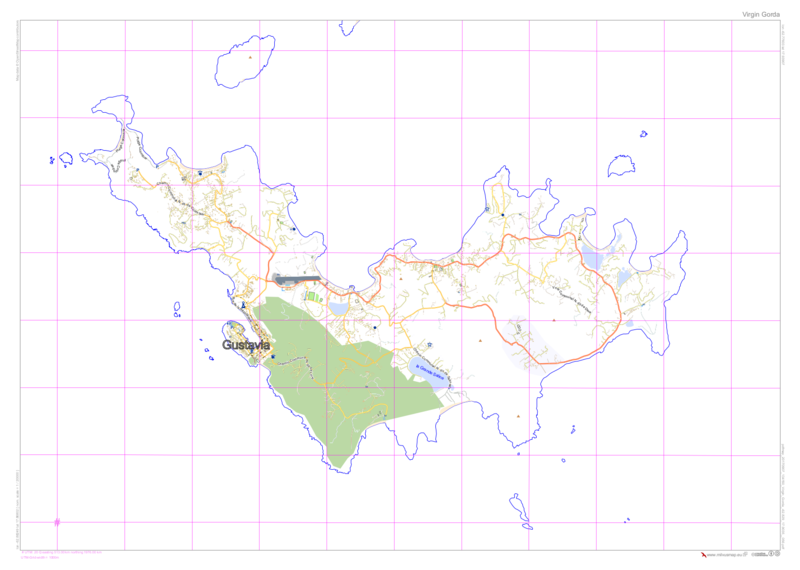 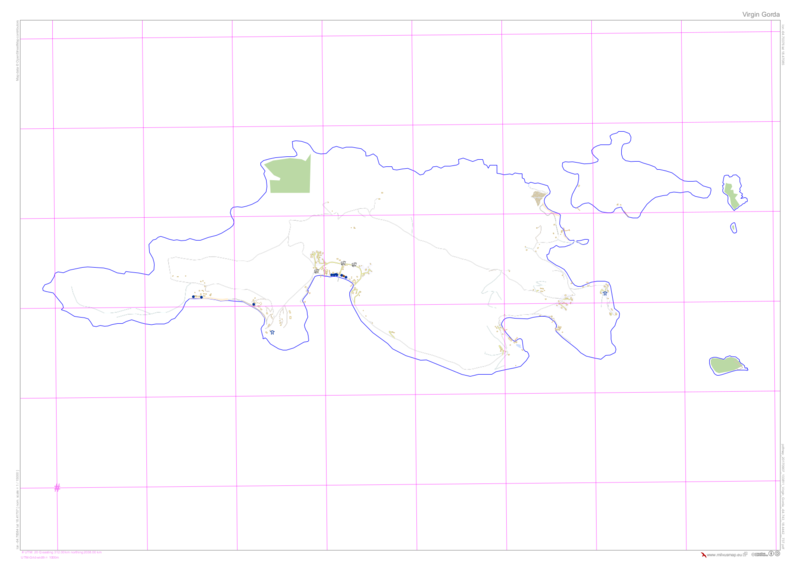 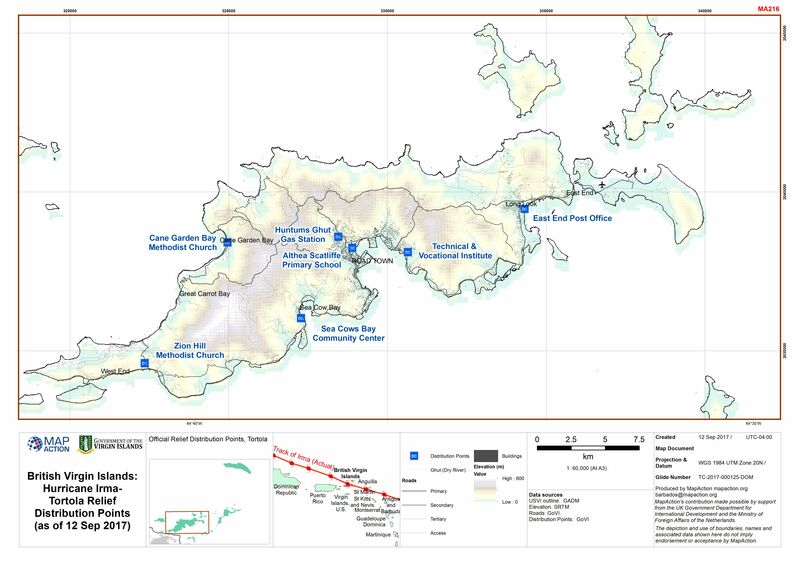 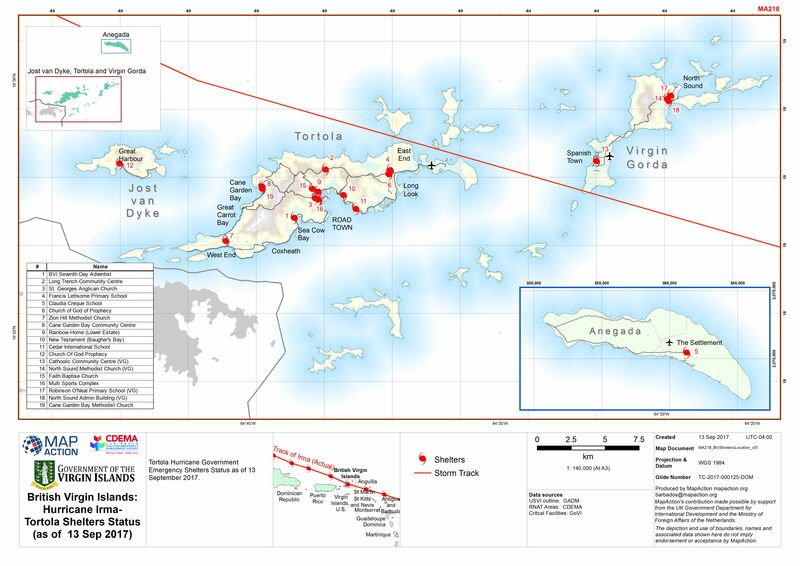 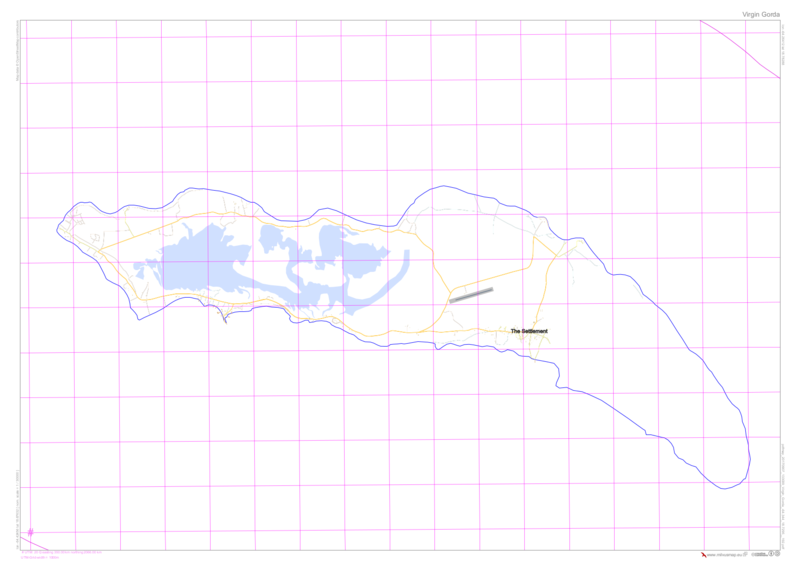 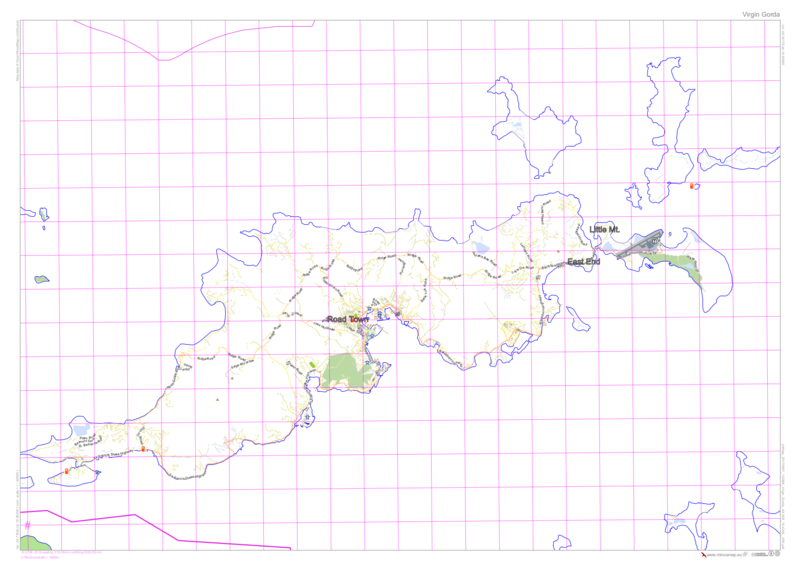 Map shows the main island of Anguilla with roads, cadastral sections and main settlements. 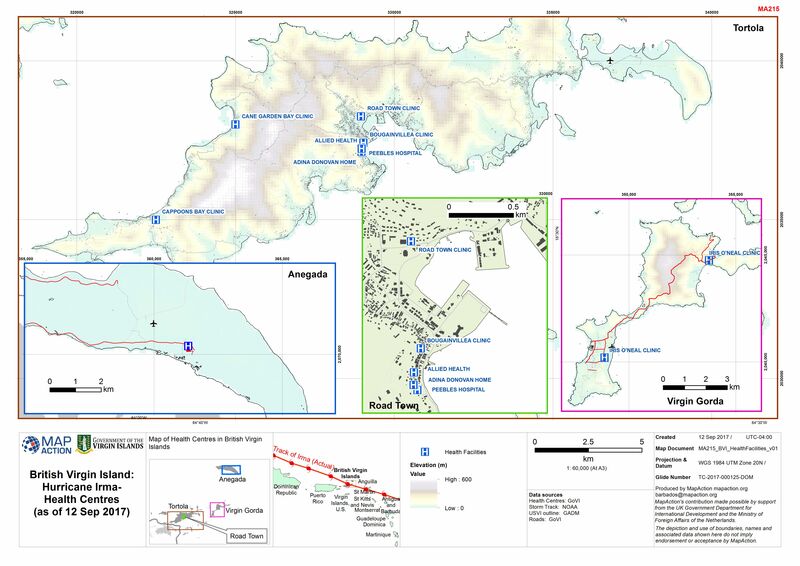 Buildings across the BVI, as a surrogate for population distribution, shown for Tortola, Beef Island, Virgin Gorda, Anegada and Jost Van Dyke only. 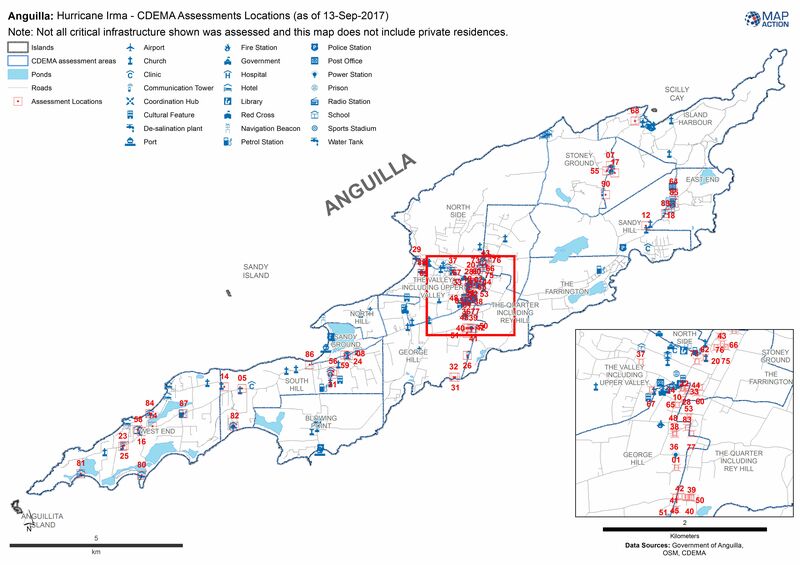 Tortola Hurricane Government Emergency Shelters Status as of 13 September 2017. 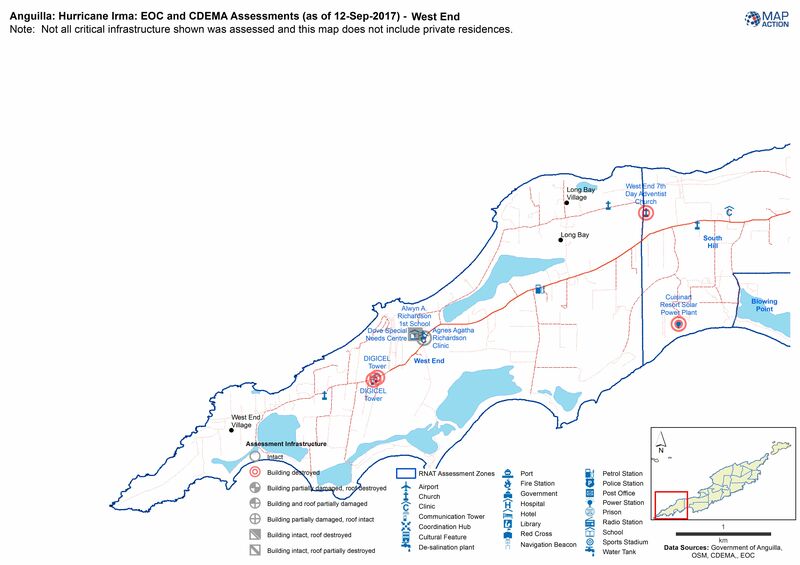 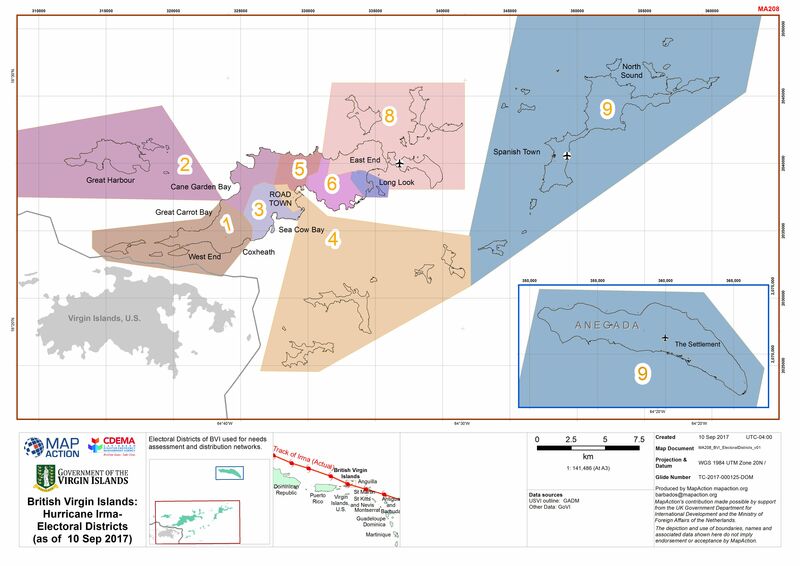 Electoral Districts of BVI used for needs assessment and distribution networks.